To monitor an Elasticsearch 6.x cluster, you must run the same or a later version of Elasticsearch 6.x on the monitoring cluster. While installing X-Pack on the monitoring cluster is not absolutely required, it is strongly recommended. Install X-Pack and configure X-Pack monitoring in Kibana. 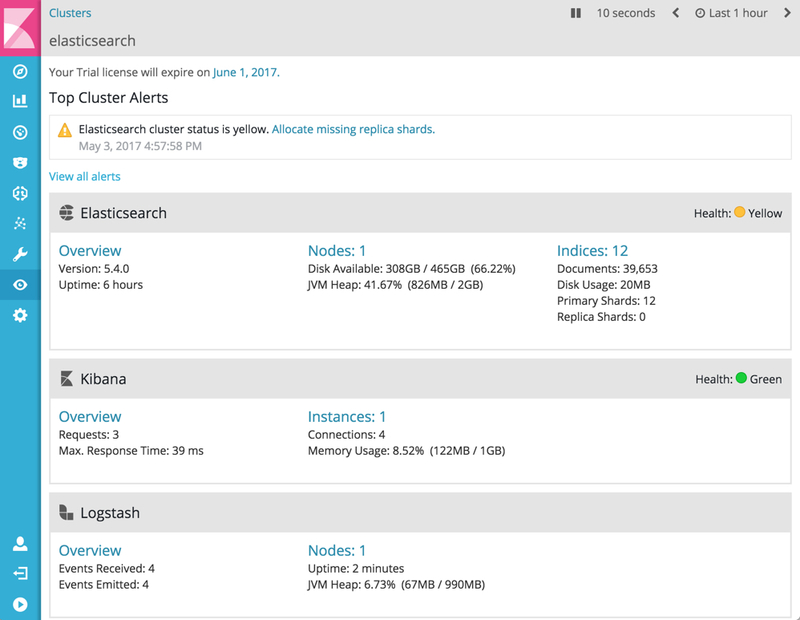 Kibana makes requests to the monitoring cluster as the logged in user. The username and password credentials must therefore be valid on both the Kibana server and the monitoring cluster.